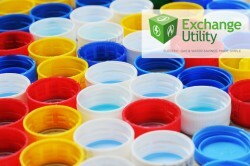 Home » Business and Business Energy News UK » Will there be an energy price cap in the UK? Will there be an energy price cap in the UK? During the lead up to the general election, an energy price cap was one of the policies that proved to be an extremely popular incentive. The leader of the conservative party, Theresa May, pledged to fulfil this promise, which could result in the reduction of energy costs for millions of consumers. Since winning the election, however, she has encountered opposition from cabinet ministers who are urging her to scrap the policy. Which political parties support the energy price cap? It’s not just the Conservative party that support the idea of an energy price cap. The Labour party also promised to introduce an immediate energy price cap if they got into power. This means that the government as a whole are very aware that something within the energy market has to change so that consumers aren’t paying drastically more than they should be. It also means that an energy price cap should gain the support that it needs to become a reality, which is great news for both homes and businesses. What difference would an energy price cap make? Don’t make the mistake of thinking that an energy price cap will reduce everyone’s bills – That is a highly unlikely outcome. The energy rate cap would only apply to contract rates for standard variable rate tariffs. This type of tariff is often the most expensive deal that your supplier has to offer, it is also the tariff that you are placed on if you fail to review your domestic or business energy contract before your contract end date. An Ofgem investigation found that failing to switch energy suppliers, costs us £1.4 billion! That’s a lot of extra money from homes and businesses going straight into the suppliers’ pocket. An energy price cap would help to reduce the amount that homes and businesses are overpaying suppliers by limiting the rate that can be charged for a standard variable rate tariff. This could potentially have a knock on effect on other supplier tariffs as their standard variable rate may take a step closer to their other options – making their standard options seem like less of a good deal. If just one supplier reduces their rates, others will follow so that they can remain competitive and entice you into giving them your custom. Why are people not switching energy supplier? If rolling onto a standard variable rate tariff is so expensive, why aren’t we switching providers more? A lot of people do not prioritise their energy contract when they think about running their home or business because it’s a hassle. No one wants to deal with calling energy suppliers and comparing energy rates on an individual basis because the result is a plethora of sales people getting in touch with you to offer and reoffer you ‘the best rates’ – Who has time for that? In addition, if you are unsure as to what you are looking for, the situation becomes twice as confusing. The only way forward, if you plan on tackling the energy market on your own, is to educate yourself on the different options available to your business. Check out the advantages and disadvantages of each energy tariff type here. Is there an easier way to compare business energy prices? Energy consultancies, like Exchange Utility, were created with the aim of increasing competition within the energy market, as customers can review gas, electricity and water pricing options better and receive unbiased advice on what to do next. We compare prices for a range of UK energy providers in one simple search. We have also been awarded a Five Star Rating on Trust Pilot for our commitment to providing excellent customer service and advice, so you know you’re in safe hands! When you compare with Exchange Utility, you also benefit from a renewal service, meaning that we will give you a call whenever you need to make changes to your current gas, electricity or water contracts. This will protect your business from being rolled onto a standard variable rate tariff and paying drastically more than you should be. Even if you don’t compare business energy prices with us, we would highly recommend that you compare none-the-less. This way, you can discover the best option to reduce the cost of energy and utilities in your business.